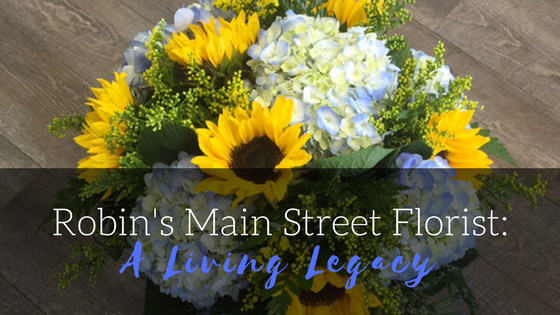 Inspired and motivated by her grandparents and mother to join the floral business, Robin Fordham opened the doors to Robin’s Main Street Florist in January of 2016. Since her grandparents and mother were owners of a greenhouse and flower shop, it was inevitable that Robin would grow up with a passion for flowers. Always wanting to make something of this talent of hers, she finally pursued her dream and opened her very own flower shop in Marshville, NC. She now lives to serve her customers and give them the best experience possible. With floral knowledge passed down through generations, Robin’s green fingers are guaranteed. 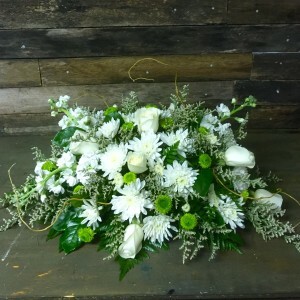 With a mother who also was a floral designer, Robin can create a unique bouquet with her high-quality flowers to fulfill any wishes that you may have, no problem! Whether you are looking for that perfect romantic gesture, want to brighten a special someone’s day, or even honor a loved one, she is there in happiness and grief with daily delivery service to all local funeral homes and hospitals. Robin’s Main Street Florist offers just about anything that you might need when it comes to flowers. From event flowers to gift baskets, plants to prom flowers, and anything and everything that falls in between, this one of a kind florist has it all. Robin offers more than flowers though! She also has baby gifts, candy, greeting cards, home decor, scented candles and stuffed animals. So when Robin says, “I want my customers to know they are important to me and I will gladly go the extra mile for them,” she means it! We hope that you are lucky enough to cross paths with Robin’s Main Street Florist. She will not disappoint.